Ending a year-long battle over the lease agreement of iconic Taj Mansingh, the Supreme Court on Thursday allowed civic agency New Delhi Municipal Council or NDMC to e-auction the five-star hotel. The decision was taken by the bench comprising of Justices P C Ghose and R F Nariman that was hearing a plea filed by NDMC which stated that Tata Group firm can not have the right to refusal in the auctioning of the hotel. The hotel, which is now run by the Tata Group, will be given given six months as "breathing time" to vacate if its bid in the online auction is not the winning offer, added the apex court. However, the bench of Justices PC Ghose and RF Nariman asked the civic body to consider the "blemish-free" record of IHCL while auctioning the hotel. 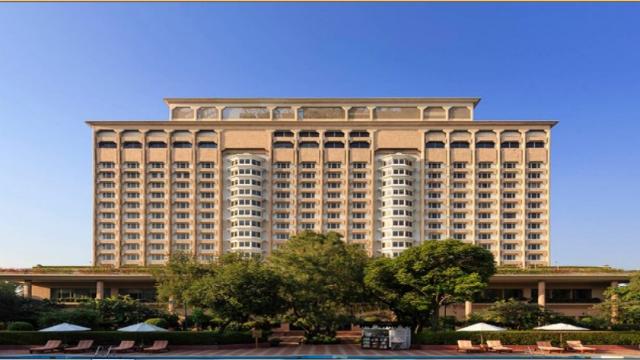 Earlier in March, Delhi Chief Minister Arvind Kejriwal, who is a member of NDMC, announced that an open auction of Taj Mansingh Hotel would be done. Summary: The company had on November 8 approached the apex court against the high court order clearing the auction. The High Court, however, gave a green signal to the NDMC to go ahead with the public auction of the hotel. Nine temporary extensions were given to the company on various grounds with three of them granted a year ago itself.The company had on November 8 approached the apex court against the high court order clearing the auction. The company had submitted that NDMC expert report suggests that the council would "lose revenue" if the hotel was auctioned to other players. "The AG and SG's opinions should have been placed before the ministry concerned", the bench had said. Challenging the decision, the Tatas moved the Supreme Court, which, however, rejected their plea. The agreement ended in October 2011.